Today’s students are facing ever-increasing financial expenses with traditional textbook prices contributing to the pressure. To combat rising textbook costs and their detrimental effects on student success and retention, the Private Academic Library Network of Indiana (PALNI) launched an initiative: PALSave: PALNI Affordable Learning. On November 5, 2018 leaders – including bookstore managers, instructional technologists, and librarians – from over half of PALNI’s supported institutions attended a workshop facilitated by the Open Textbook Network to learn how to roll out this new program on their campus. Attendees were trained to encourage the faculty adoption of open educational resources (OER) in the classroom, and in doing so maximize student success. PALSave Campus Leader and Marian University Library Director Jessica Trinoskey pulls up Creative Commons information as discussed in a session by the Open Textbook Network. PALNI recently joined the Open Textbook Network (OTN) as the first step to further its initiatives for affordable education and student success across the state. OTN maintains the Open Textbook Library, and is well known for helping organizations to advance the use of open textbooks and practices on their campuses. They have had great success with their initiative: OTN members have saved their students over 8.5 million dollars! PALSave Campus Leader and Huntington University Library Director Anita Gray participates in a group activity during a workshop session. As part of PALNI, supported institutions can enjoy affiliate status in OTN, have access to a trained team to educate faculty on benefits of OER, and obtain help redesigning courses via the PALSave team, at no additional cost to the institution. Additionally, OTN staff will be coming to back to Indiana this spring to facilitate a follow-up Campus Leader Workshop (date to be announced). For more information about PALSave: PALNI Affordable Learning or PALNI’s membership in OTN, contact PALNI Scholarly Communications Director Amanda Hurford (amanda@palni.edu) and/or view the PALSave website https://palsave.palni.org/. PALNI is engaging with faculty to create affordable and effective learning opportunities that draw upon the newest technologies and reduce costs for private colleges in Indiana at the same time. The Private Academic Library Network of Indiana (PALNI) has launched collaborative Scholarly Communications and Instructional Technology programs to incorporate the best of today’s technology, open access materials, and services to directly support teaching and learning by sharing expertise and deduplicating effort across the twenty-four PALNI colleges, seminaries, and universities. To introduce these projects, PALNI Scholarly Communications Director Amanda Hurford and University of Saint Francis Teaching and Learning Services Team Coordinator Andrea Cohn presented in person, while Manchester University Virtual Instruction and Emerging Tech Librarian Rebecca Johnson joined virtually to deliver a session at the Fort Wayne Teaching Conference. Within this conference talk, Ms. Cohn, Ms. Hurford, and Ms. Johnson presented a call to action to faculty which invites direct engagement with PALNI’s resources and in PALNI’s newest advisory groups and task forces. The corresponding groups – Scholarly Communications and Instructional Technology Advisory Groups and the Affordable Education Initiatives Task Force – will help faculty and instructional designers achieve goals around classroom tech, course design, open educational resources, open access publishing, and digital scholarship across the consortium. All three groups are open to join by anyone at a PALNI institution. They meet monthly to quarterly in order to advance action items as directed by PALNI’s 2017-2020 strategic plan. PALNI invites faculty involvement at the Advisory Group level, and also on more targeted task forces like Affordable Education, which require a time commitment to create impactful outputs to share across the PALNI audience. For those in a PALNI institution who would like more information about joining one of these groups, please contact Amanda Hurford (amanda@palni.edu) for Scholarly Communications/Affordable Education Initiatives or Rebecca Johnson (rejohnson@manchester.edu) for Instructional Technology. Since the Private Academic Library Network of Indiana, Inc (PALNI) hired a Scholarly Communications Director, a number of scholarly communication initiatives have launched consortia-wide. Those in affordable education, open access publishing, and institutional repository (IR) development topping the list. 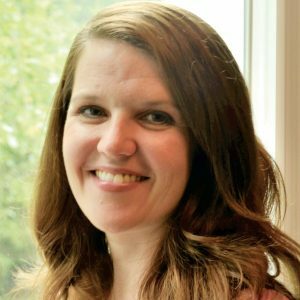 The new Scholarly Communications Director, Amanda Hurford, brings focused expertise to the supported PALNI schools and looks forward to sharing her knowledge while forming partnerships in and outside of the consortia. Scholarly Communications jobs have grown in significance since the Association of College Research and Libraries (ACRL) identified the crisis in their 2003 white paper, “Principles and Strategies for the Reform of Scholarly Communication.” A 2012 Association of Research Libraries survey showed a 70% increase in the number of scholarly communications positions with 24% creating new areas to handle scholarly communication support. However, most PALNI libraries lacked the budget to create a position focused on this area on their own. In late 2016, the PALNI Board of Directors unanimously voted to add the shared, full-time staff position continuing PALNI’s “deep collaboration” initiatives. The position, the first of its kind nationally, supports a consortial effort to advance scholarly communications, institutional repository support, and affordable education initiatives at all 22 supported institutions. Previously in the PALNI consortia, only Butler University Libraries had access to a full-time Scholarly Communications Librarian despite the growing need in all schools. To achieve this year’s goals, Ms. Hurford leads the Scholarly Communications Advisory Group, which works to provide PALNI librarians with the knowledge, tools, and services needed to engage in these types of projects at the local level. Projects include creating a faculty OER adoption toolkit, implementation of the cutting edge Hyku institutional repository software, and building a robust support system around open access publishing using Open Journal Systems. PALNI Scholarly Communications Director Amanda Hurford has built upon the past efforts of PALNI members and staff to update and operationalize the blog, Scholarly Communication at Scale, http://scholcomm.palni.org/. Scholarly Communication at Scale’s specific purpose is to provide scholarly communication information in a way that is relevant and digestible to seekers of all types and skill levels, and scalable to institutions of various size and experience. Initiatives and information to be covered include open access, scholarly publishing, institutional repositories, affordable education initiatives, digitization, preservation, copyright, and author’s rights, among others. Many PALNI members and outside readers may be interested in scholarly communications, but don’t have time to research topics in this evolving field. As PALNI’s Scholarly Communications Director, Amanda Hurford has committed to staying abreast and sharing pertinent [or the most influential] schol comm news, scholarship, and professional development activities by aggregating vital news from many sources in one place. The site uses a plugin called PressForward, which allows it to collect content via a feed reader and a bookmarklet tool from sources such as The Idealis, The Scholarly Kitchen, In the Open, Creative Commons, SPARC, various open access journals, and more. You can subscribe to get an email for every post, or PALNI members may wait for a weekly digest via the Hub. Please contact PALNI Scholarly Communications Director Amanda Hurford for more information.